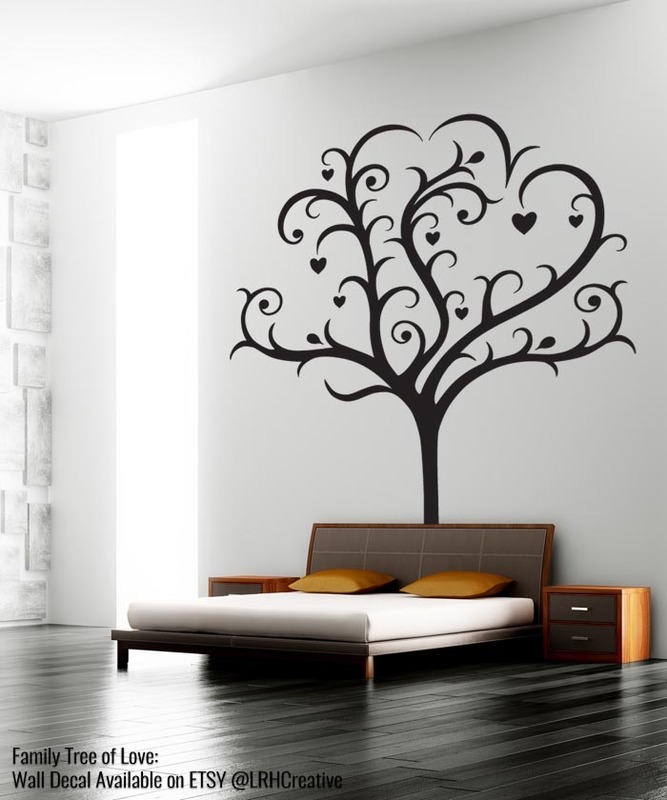 Family Tree of Love Wall Decal or Wall Sticker, available in 3 sizes on my ETSY Shop. This tree is inspired by our roots, our families and the love that creates all of the branches. I thought perhaps it would be really cute, if you were to hang framed photos of loved ones – here and there on the branches. Or perhaps, for a baby’s room, you could hang the little cutouts of Disney characters, or whatever theme you’re going with for your Nursery decor. There are more photos of this tree on the ETSY Shop.